If you ask most medical experts about the hottest trends in health research, chances are they'll mention the microbiome. The term refers to the trillions of microbes living inside our bodies, known as the human microbiota. The vast majority of these bacteria, viruses, and fungi dwell deep within our intestines. These microbes help with digestion, make certain nutrients, and release substances that have wide-ranging health effects. "There's a complex interplay between the microbes in our intestines and most of the systems in our bodies, including the vascular, nervous, endocrine, and immune systems. All of these relationships are highly relevant to cardiovascular health," says Dr. JoAnn Manson, professor of medicine at Harvard Medical School and chief of preventive medicine at Brigham and Women's Hospital. As you'd expect, what we eat plays a major role in the composition of our gut microbiota. And we're learning more about how the substances gut microbes churn out (called metabolites) influence our risk for many chronic diseases, including diabetes, heart disease, and cancer, says Dr. Manson. One of the best known of these gut metabolites, called trimethylamine (TMA), forms when gut microbes feed on choline, a nutrient found in red meat, fish, poultry, and eggs. In the liver, TMA is converted to trimethylamine N-oxide (TMAO), a substance strongly connected with the formation of artery-clogging plaque (atherosclerosis). A 2017 study in the Journal of the American Heart Association by Dr. Manson and colleagues pooled findings from 19 studies looking at the connection between blood levels of TMAO and serious cardiovascular problems (mainly heart attacks and strokes). People with the highest TMAO levels were 62% more likely to experience serious cardiovascular problems than those with the lowest levels. High TMAO levels were also linked to higher mortality rates. What's more, these connections were independent of traditional risk factors, such as diabetes, obesity, and kidney problems. This suggests that TMAO could be a novel target for prevention or treatment strategies. Gut microbe metabolites are also known to influence other factors closely tied to cardiovascular risk, such as diabetes, high blood pressure, and inflammation. For example, a high-fiber diet may encourage the growth of gut bacteria that produce short-chain fatty acids. A gut that includes these microbes seems to help people with diabetes better control their blood sugar and body weight, according to one small study. Short-chain fatty acids, which are made almost exclusively in the gut, also seem to play a role in regulating blood pressure. Studies in mice suggest that these fats are involved in blood vessel dilation and constriction. This observation is one of many described in a report on the role of microbiota in blood pressure regulation published in the September 2017 issue of Hypertension. how microbes that live in the mouth interact with nitrates from vegetables to form nitrites and nitric oxide, which relaxes blood vessels. But the entire field is still in its infancy, says Dr. Manson. 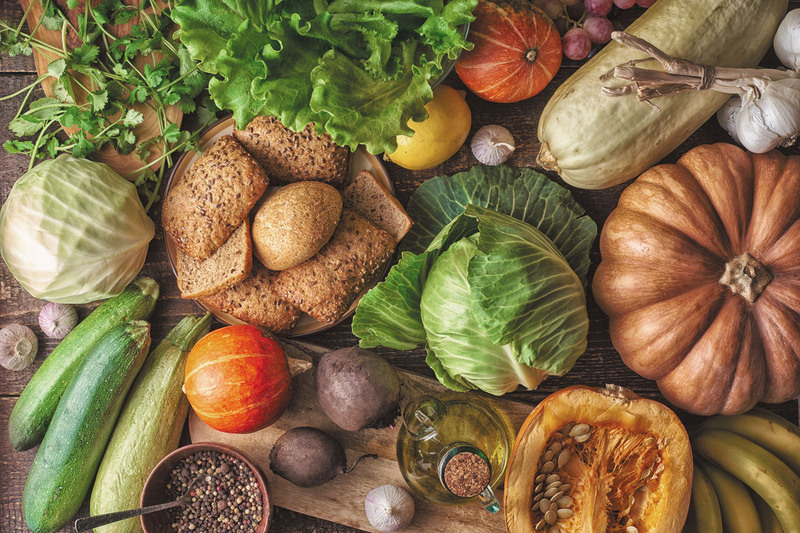 Growing evidence suggests that dietary habits that are helpful for preventing heart disease (such as avoiding red meat, limiting salt, and eating lots of fiber-rich vegetables and whole grains) also have favorable effects on the gut microbiome. What about probiotics, the live bacteria found in yogurt, other fermented foods, and dietary supplements? While they potentially improve diarrhea caused by infections or antibiotics and may ease symptoms of irritable bowel syndrome, so far the evidence of any definitive benefit is limited. It's far too early to recommend probiotics routinely for preventing or treating most chronic diseases, says Dr. Manson. "We often don't know if the probiotics are actually getting to the right place and changing microbial flora," she says. But it shouldn't be too long before we understand more about this topic. Dr. Manson and other investigators around the country have received major grants from the National Institutes of Health to study metabolomics for predicting the risk of cardiovascular disease and diabetes. Metabolomics — the study of metabolites — has been called a missing link that connects the microbiome with human health. Ask the doctor: Have I given up steak for nothing?